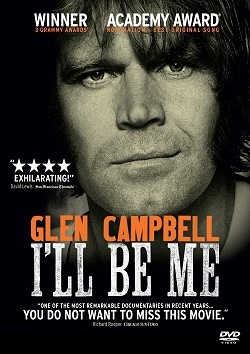 The extraordinary Glen Campbell documentary I'll be Me was finally released on DVD in the UK on 23 May 2016. The soundtrack won a Grammy award and the song I'm Not Gonna Miss You was Oscar nominated. The documentary follows Glen Campbell and his family both on and off stage on his final tour. It shows the devastating effects of Alzheimer's Disease, but also Glen's determination to still go out and deliver one heck of a show for as long as he possibly can. This is a region 2 DVD, which means that it will play on DVD players sold in countries including the UK and the rest of Europe (except Eastern Europe), Japan and South Africa. For a full list please check Wikipedia. It will of course also play on region free DVD players. Delivery charges for goods from the Glen Campbell shop vary depending on your location and the goods that you order. Total delivery charges will be shown on the order summary screen before you make payment.